Price dropped to $14.99. January is almost over but that doesn’t mean you can’t still enjoy this calendar. My original photography as a 2016 wall calendar! 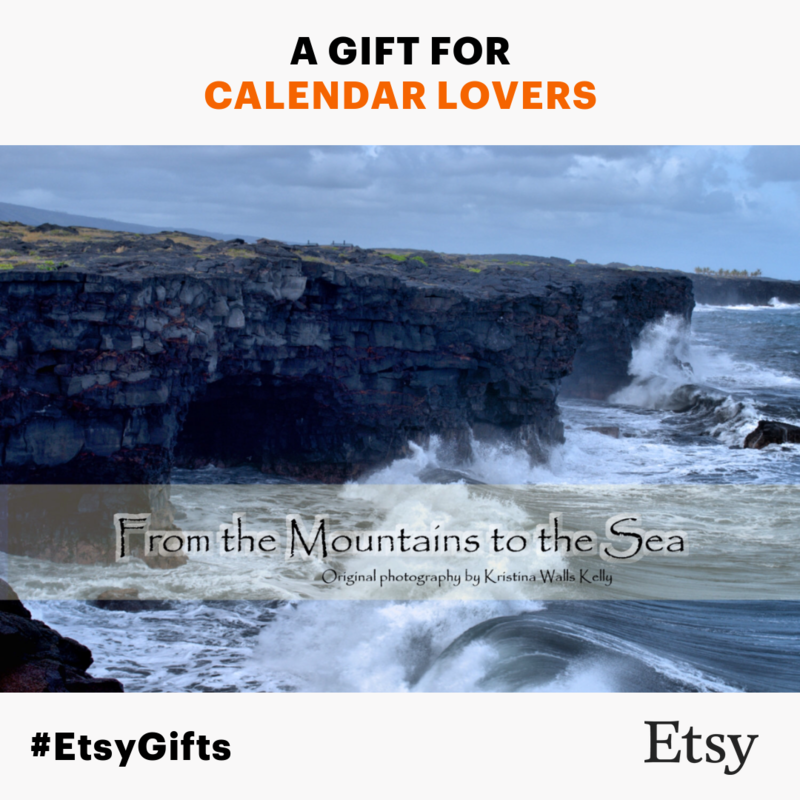 This calendar focuses on my photography of Hawaii and Colorado. Each location is labeled so that if you wish to visit, you know where to find it. Beaches, waves, waterfalls, Rocky Mountains, Red Rocks, Volcano National Park, and Garden of the Gods – enjoy the serenity and power of the mountains and the sea all year. 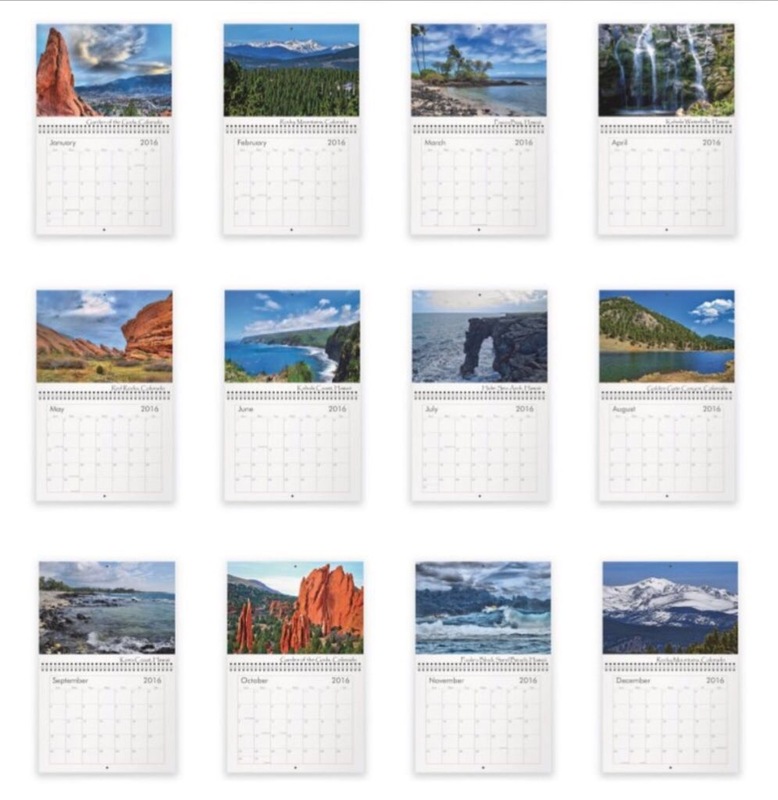 Printed on glossy card stock, spiral bound, it measures 17″ x 11″ when opened. Glossy card stock has a high gloss coating applied to the paper surface that yields a smooth, shiny finish, with vivid colors. Standard holidays are included with an additional 2: World Turtle Day and Manatee Appreciation Day.